The life of Saw Gerrera is one that has primarily been told in bookend form. Saw was introduced in Season Five of The Clone Wars as a partisan fighter taught the ways of insurrection against Separatist occupiers by the Jedi Order. 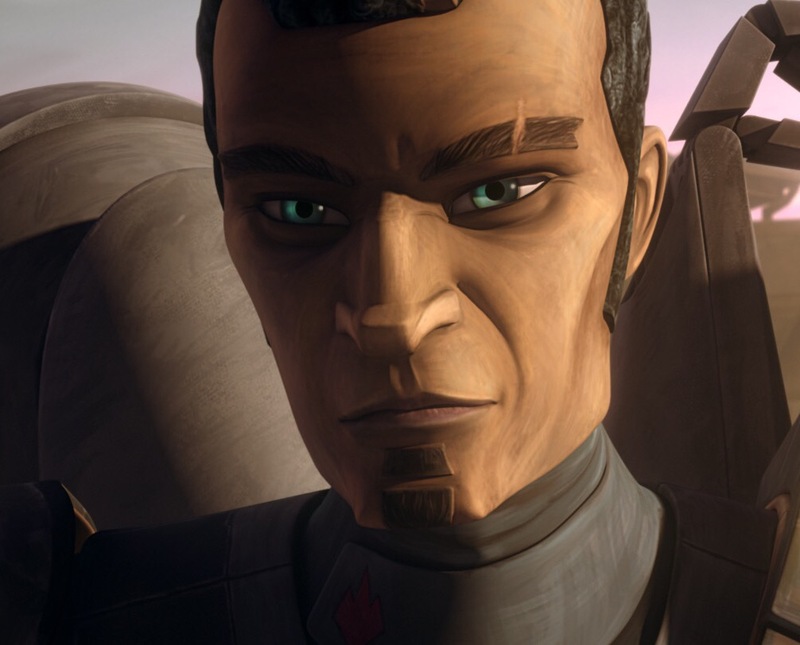 The partisans succeeded in driving out the Separatists, but not without the loss of Steela Gerrera, Saw’s sister, whom the Onderonian rebels had chosen as their elected leader. In fact, the last glimpse of Saw was a memorial service held for his sister before the recently freed people of Onderon. 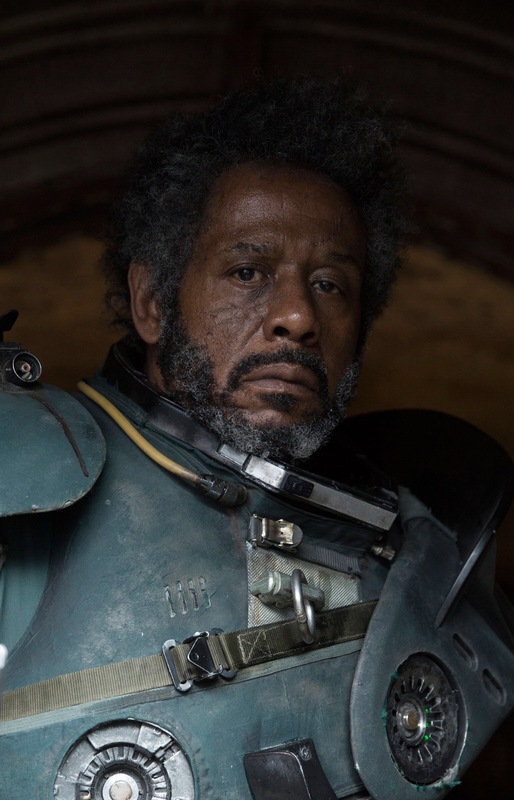 Then Rogue One was released and Gerrera became embodied by Forest Whitaker, a man expelled from the ranks of the Rebel Alliance, haunted by paranoia, and killed in the first test of the Death Star’s super laser. How Saw Gerrera went from Onderonian partisan to an ostracized rebel is a question that will undoubtedly be told, and may be in the process of being told, but even without the benefit of that explanation, Saw represents Star Wars’s warning of the dark side of rebellion. Rebellion is part of the fabric of our history. Rebellions have occurred within societies and civilizations for a variety of purposes, often related to the oppressive governing of the many by the few. The story of Saw Gerrera, however, is one based explicitly in the rebellions of the last few centuries, particularly those where the morality of a rebellion’s tactics is unquestioned in the light of far loftier goals, such as freedom and liberty. Rarely have perpetrators of such acts deemed justified at the time as forgivable given the ends to be achieved, been pardoned by the critics of history. Thus, Rogue One became the vehicle that spurred Saw Gerrera’s transition from typical Star Wars freedom fighter to the franchise’s warning against choosing the path of the ends justifying the means. For those who loved the character in The Clone Wars, it can come across as a sour pill to see the real life embodiment of the hero appear on the big screen as someone haunted by paranoia and reduced to a mere shadow of himself. As Saw comments to Jyn upon their reintroduction, there’s little of him left to kill. Saw’s statement doesn’t just reflects his physical body, which parallels the vein of Anakin Skywalker’s descent into becoming Darth Vader, down to the menacing mechanical breathing. In that regard, when the individual is more machine than man, it’s an inference that the person has lost something critical to humanity, such as a moral compass or even their soul. That loss of humanity and the accompanying empathy for the lives of others, is what paints Saw Gerrera as the extremist who willingly orders attacks on the Empire that endangers innocents. It’s those attacks which lead the Alliance to banish him from their ranks and provides fodder for Senator Casterfo decades later to use against Leia in defense of the Empire’s own crimes. Gerrera’s character isn’t being wasted for his inclusion in Rogue One in this capacity, despite what many of his fans would claim otherwise. 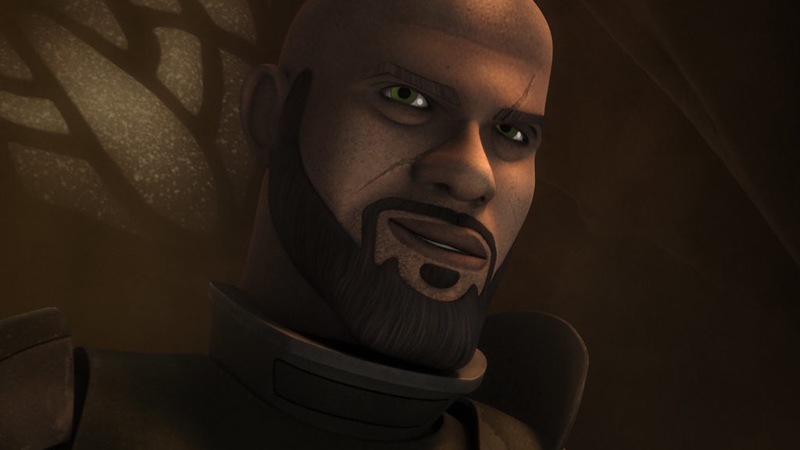 Instead, Gerrera’s character is given one of the most important roles ever provided to a heroic character in the Star Wars universe as an example of the dangers of rationalizing one’s actions in the pursuit of greater ideals. The Empire does this exclusively, highlighted by the in-universe idea of the Tarkin Doctrine, which supports the use of terror to maintain security and peace. This is even mentioned by Director Orson Krennic in his opening exchange with Galen Erso in Rogue One, when Galen objects to how peace will be achieved through the laser project. None of this is new to Star Wars, but what Saw represents is, the hero who becomes the enemy without realizing it. The rebels are defined in part by their opposition to the Empire’s willingness to forego any discussion of right or wrong in pursuing its objectives. That one of their number descends into the same path of thinking is a bright warning about how one’s fervor for a cause can turn them into the enemy, or at the least, undermine the very purpose of why they fight in the first place. Saw’s use as an example of this is highlighted in the character’s return to the animated medium on Rebels. In “Ghosts of Geonosis,” two years before Rogue One, the heroes of the Ghost are sent to find Saw and his fighters who had disappeared on a rebel mission to the planet Geonosis to uncover the secretive actions of the Empire on and above the ringed red planet. Find Saw they do, but also, one of the last surviving members of the Geonosian race which the Empire had wiped out, along with a single egg containing the last hope for the Geonosians, a queen. In his fervent quest to learn the Empire’s secret, Saw doesn’t hesitate to literally place a gun to the figurative head of the Geonosian race’s future by threatening the egg in an effort to make the egg’s caretaker, an insect-like Geonosian, start talking. Saw is eventually talked down from this position, but not before Ezra Bridger angrily proclaims that Saw’s behavior isn’t much different than the Empire’s. The Saw Gerrera in “Ghosts of Geonosis” isn’t quite the Saw Gerrera of Rogue One. He still retains physical parts of himself, but more importantly hasn’t become blinded by the madness to defeat the Empire which is characterized by Forest Whitaker’s wild unkempt appearance in the movie. The inkling of that partisan is there, and Rebels appears to be promising to help show how Gerrera completes the journey to rebel outcast. This journey will become the most important part of Saw Gerrera’s character in the Star Wars universe. As much as the prequel trilogy highlighted how democracies can fall, Gerrera will serve as the cautionary tale of how rebel heroes can lose the virtuousness of their character in pursuit of the lofty ideals which the rebel Alliance holds dear. It further strengthens the idealism and noble efforts of the rebels, be it the animated heroes in Rebels or the familiar faces of Luke Skywalker, Han Solo, and Leia Organa, because they strive to defeat the Empire without succumbing to the extremist tactics which Gerrera inevitably adopts. In the last hour of his life, Gerrera still sees the evil inherent in the Empire when he questions Jyn about the spread of Imperial banners, all the while conscious of Bodhi Rook sitting in a cell suffering from the torturous after effects of the Bor Gullet. His passion for Jyn to save ‘the dream’ is contrasted against his own decision not to flee after the Death Star evaporates the Holy City of Jedha. Saw claims he’s tired of running, but it’s not from the Empire he’s referring to, it’s the acceptance of who he has become and his acceptance that his actions have brought about his fate. Saw Gerrera dies with the clarity of the rebel he set out to be so many years ago on Onderon, and as a character in the Star Wars universe who’s life has become an important and memorable example that even the best can fall in pursuit of noble dreams.